For many students, it is challenging to manage full-time study and their finances. Not everyone is fortunate enough to get their fees paid by their parents, and student loans might not be an option for everyone. If you would like to be self-sufficient while you are gaining a formal qualification, you will need to make the most out of your skills and set up a side hustle that will give you a steady income. 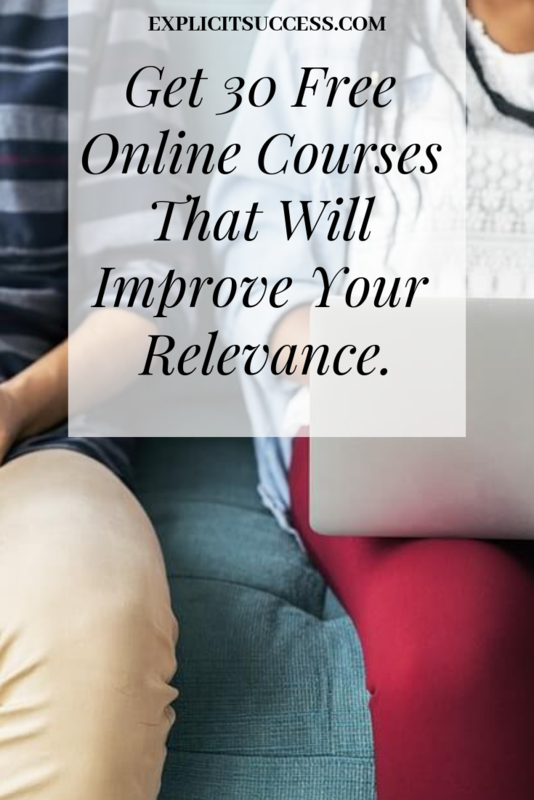 You might not see results immediately, but creating an online store is a popular option when you are trying to become financially independent and focus on your studies at the same time. If you have limited funds to invest in setting up a business, you might not be able to afford a web designer. This means that you will have to learn basic web design skills. While there are plenty of template-based website companies out there offering a great value for money, you will want your site to stand out instead of looking like any other website. Using WordPress has plenty of benefits, and you will be able to use free plugins and templates to customize your online store. Before you choose the products you would like to sell on your website, you will need to find out as much as possible about your ideal customer and their needs. If you have the time, you can join groups and social media pages where you can learn as much as possible about the behaviour of your market players, as well as your competitors. This will help you develop a strong USP to make your brand stand out. Once you know exactly what you would like to sell, you will have to start focusing on your personal brand. You may be an affiliate marketer or a drop shipper. Whatever the case is, you will still need to create a strong brand that will help you make the most out of your personal business. Make it personal and professional, and you will attract the right type of customer. When you are trying to focus on your studies, you don’t want to be dealing with customer service and delivery. This is why you might want to create a system that will help you manage and automate your business. You can use TMS to fully automate your order and delivery process. If you decide to become a drop shipper or affiliate, you will not have to deal with the details and still get your commission for the sale. If you have limited time marketing your online store, you might need a digital marketing sales funnel that will automate your traffic and lead generation and allow you to create meaningful interactions with your potential clients. You cannot waste hours trying to manually follow up every lead; create a sales and conversion process that works for your business and market. Design the customer touch points to generate interest and engagement, and personalize their experience every time they visit your site. You should try and take the hard work out of your content creation. When you have assessments to prepare for or essays to write, you simply cannot spend hours being distracted on social media. One of the things you cannot live without when setting up your online store is data. Thanks to the latest developments in business intelligence solutions, you can now track your conversions. Whether you are running a Facebook campaign or just trying to measure the effectiveness of different traffic sources and find out where your customers are coming from. From link tracking to online tools that analyze and map your website traffic, there are numerous free software available to make your life easier. Great tips Abimbola, it’s rare that colleges and universities teach about sales funnels, so I think your advice is spot on! The Sales Funnel really overwhelms me. I have tried to set them up on my own and always find it to be harder than I think it should be. Awww, I guess you might need to learn from someone who knows it quite well. Thank you for explaining so well. I am a student also have multiple chronic illnesses so always short on finance. Was thinking about it and had no idea how to start. Your blog gave an idea to begin with. I wanted to create an online store when I was in college, but I never did because I wasn’t sure how to do it for one thing, and how to work it into my schedule for another. Had I had this information back then, I believe I would have taken the steps to make it happen. I did learn basic HTML but wasn’t aware of the other tips. these are all great tips, whether or not you are studying! they will work if you are working full time as well. What a gorgeous post! I will share this link with my sis, as she is thinking to start an online store. This is extremely beneficial, I am already checking a couple of links in the article. Thank you so much. These are such great tips! Being a full-time student is SO busy. i just started my blog and i’m really thinking of starting an online store/merchandise! Thanks for all the insights and tips! Great steps you shared will also try that out this day thou am learning web design currently. side Hussle is needed not only for college student but everyone who find it needed. Definitely! I’m glad you’re learning already. This is perfect for me! I got sooo many compliments on some scarves that I had loom knitted for myself last year, that I am making them as we speak to sell at the end of the year and opening an online store is on my list to learn. Thank you for the go-to! This is very great info. I actually have a couple of ideas of some stuff I could design and sell but I honestly had no where to start. This was great! Thank you so much for sharing!! These are great tips for the beginning marketer, knowing your niche and creating a sales funnel is very important. This is very good information for people who want to do an online store. Great read. These are all great tips! Will keep these in mind when I finally decide to go back to online selling. Yes, time management is of primary essence. I’ll be pinning this for later, a very interesting read. Great tips here! I was thinking of starting my mom up to sell her paintings or digital copies of them but didn’t know where to begin! Bookmarking for my journey! I’m glad you found this useful for your journey. tha kyou for this very informative article, you explaine it so well in a way that people could easily understand. Great article. This is a topic I know I need to learn more about and start building my own and you really helped me understand some good ways to get started. Thank you. These are some good tips for starting a blog as a side hustle. Oh wow! You have really amazing tips for us! I will definitely keep these in mind. Thanks so much! This sounds great and it Really Overwhelms Me. I never knew that it would be so great.